The annual British-Irish Association (BIA) conference convened last weekend in Oxford, England. At the same time the British government was taking its latest step away from the Good Friday Agreement by changing legislation on calling elections in the north, the DUP leader pulled out from attending the BIA conference at the last minute to host the Tory defence minister at another DUP gala dinner in Fermanagh. On Wednesday, speaking after meeting the British Prime Minister in London she provided the latest evidence that the DUP has no commitment to restoring the political institutions. The Brexit catastrophe is unfolding relentlessly. The Tory party civil war has become even more visceral since the Chequers announcement. The RHI inquiry continues to reveal a DUP party which was clearly dysfunctional in government, providing insights which make a mockery of that party's purported adherence to 'good governance’. Ian Paisley's misconduct & discredited behaviour arising from the Sri Lanka episode is yet another reminder of the recurring financial scandals associated with the DUP. The DUP just does not get it! That party has been in turmoil since it walked away from the draft agreement and accommodation with Sinn Féin on 9th February which would have restored functioning political institutions by the following week. Yet in all these circumstances the DUP feels no pressure to change its position. And even if the British government was so inclined, the Tories have no incentive to do so in the midst of their own governmental and party crises. In reality some within the DUP have turned away from the political institutions. They have already decided the party should not contest the 2019 local council elections against the back ground of an agreement on Acht Gaeilge and Irish language rights. It's increasingly obvious that continued political impasse is a DUP default position in the absence of giving political leadership and making political progress. Last Monday in a new destabilising development the Boundary Commission reaffirmed recommendations which resemble an electoral and political gerrymander of the north as a counter to irreversible demographic changes. The fact is that the Good Friday Agreement and political process are now being held to ransom by the political self interests and unionist priorities of the DUP and the Tories. The British government and DUP alliance has become a mutually reinforcing wrecker’s charter. Democratic norms are being thrown to the side and violated. In my own speech to the BIA conference I said there is now a real risk that 25 years of progress could be squandered. I repeated that the absence of functioning political institutions is bad for society. 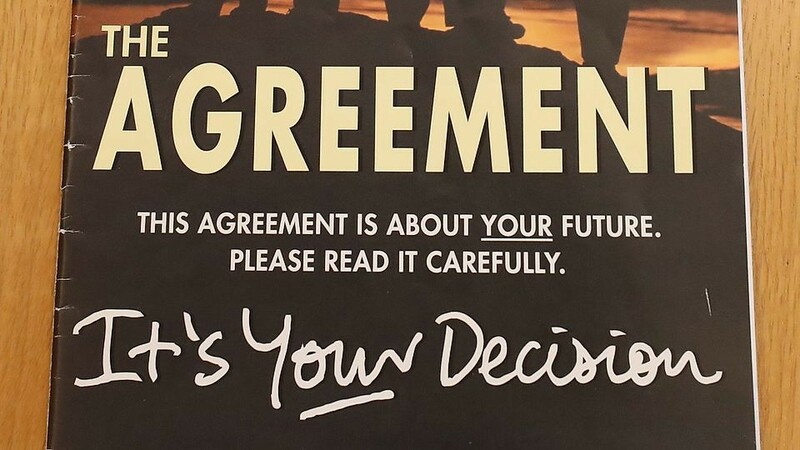 The failure to fully implement and defend the Good Friday Agreement damages both the peace and political processes. And the catastrophe of Brexit has been torpedoed into the midst of these difficulties. There is an imperative for us all to look beyond the scale of existing crises and to provide hope and positive vision. Sinn Féin is absolutely dedicated and authentic in our commitment to opening a new phase of the peace process which secures a permanent reconciliation and healing process throughout the island of Ireland. Partition is the central fault line at the heart of Irish politics and society. It has been an abject failure from its imposition. The sectarian structure of the northern state post partition ensured that a substantial minority were destined never to be treated as equals. The Civil Rights Movement 50 years ago highlighted graphically the inability of the unionist state to treat the minority as equals. This belligerent opposition from powerful sections within political unionism against reform of the northern state persists today in the form of political unionist hostility towards implementation of the Good Friday Agreement since 1998. The refusal of political unionism to embrace a rights-based society and equality has culminated in the collapse of the political institutions and associated crisis in the north for the last 18 months. The greater majority of citizens in the north are committed to the Good Friday Agreement. They want rights to be guaranteed which are already enjoyed by others in Dublin, London, Edinburgh and Cardiff. The political earthquake of Brexit has again exposed the negative role that partition continues to play in Irish affairs, and the fundamentally anti-democratic nature of the union with Britain. Over 20 years into the Irish peace process, Irish citizens in the north now face the very real and frightening potential of partition, as the main source of division and conflict in Ireland, being reinforced. Very significantly, a seismic shift has also occurred in the ambition and expectation of republicans, nationalists and other citizens in the north. A new generation is questioning partition. The republican and nationalist constituency is now looking beyond Brexit and towards the prospect of accelerated Irish reunification. Brexit has become a defining moment for these islands. It has introduced a new political discourse about the future of Ireland north and south, and the relationship with Britain and Europe. 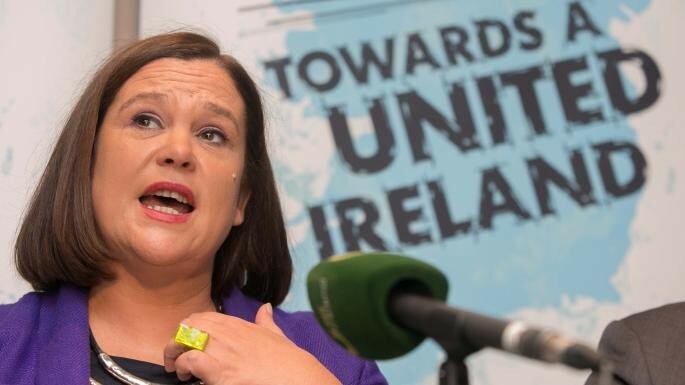 The debate on Irish unity and the timing of a unity referendum have now moved centre stage. These new unprecedented realities in turn present new strategic challenges for all of us in political leadership. They demand that we act as pioneers of the future not prisoners of the past. Therefore it is time for a paradigm shift in British government policy towards Ireland. Negative mismanagement of the Irish peace process and the Good Friday Agreement by successive British governments, and the particular pro-unionist bias of the Conservative government since 2010, must be replaced with a recognition that the transition towards Irish unity should begin. Initially that should take the form of preparing for a unity referendum and by engaging in a new political discussion with the Irish government and all political parties on the island of Ireland in relation to reunification. For many in the British establishment this will be an anathema. For those in the Tory party leadership who have tied their electoral survival to an alliance with the DUP this prospect will be unthinkable. However, Brexit means that change in the political relations between Britain and Ireland is now unavoidable, and, while partition never had any democratic legitimacy, its continued imposition is no longer sustainable. It is time for historic, decisive and brave leadership to be shown by the British state. In parallel, the Irish government needs to begin to prepare for the constitutional, political and economic transition towards Irish unity. It should facilitate an open and inclusive national conversation on Irish unity involving all citizens, political parties, social partners and civic society. A Green Paper on Irish unity should be published detailing the constitutional, political, fiscal and economic measures for a successful transition to a united Ireland. The Irish government should commence a discussion with the EU commission and institutions to explore their practical role and support in facilitating an efficient process of reunification. Political unionism must also open itself up to the new reality that Ireland has changed dramatically. Too many within the leadership of the DUP, and other unionist parties, seek refuge in the past, preferring to refight old battles, instead of looking forward to new opportunities. Societal change brought about through referenda on marriage equality and women’s reproductive health rights means that political unionism can no longer conjure up the spectre of ‘Rome Rule’. Demographic shifts in the north are irreversible. It is important to note that political unionism and indeed the DUP are not monolithic. Some voices within unionism – few in number, but notable – have recognised these realities and urge fellow unionists to join the debate and to become pioneers of our collective future. However, republicans and nationalists need to recognise the existence of real apprehensions and fears within the unionist constituency. Unionist citizens need to be convinced that the failures and injustices of the past will never be repeated and that the new transformational challenges to be faced will be managed with generosity and magnanimity. No one will have any reason to leave their home in an agreed united Ireland. The 20% which would make up a new Ireland, who would not identify as Irish, must never feel the exclusion from society that was experienced by Irish citizens in the north under unionist rule. A minority should be cherished because it enriches society. Diversity should be celebrated and respected. This presents a strategic challenge for republicans and nationalists. Political and civic unionism needs to be persuaded that it can own a significant stake within a new, pluralist, constitutional, national democracy. Republicans have a responsibility to develop a sense of belonging for all of those who should be welcomed, and cherished equally as children of a new Ireland. This will require compromises and accommodation to guarantee religious, political and constitutional rights. The opportunity is emerging to reimagine Ireland; to reshape relationships; and create a unity of belonging for those who define themselves as British as well as Irish; and, who share the unionist political identity and orange cultural traditions. Sinn Féin will act as a guarantor for the British identity and the unionist tradition within a new and agreed united Ireland. But fundamental change can not be left to happenstance. It must be planned and resourced. 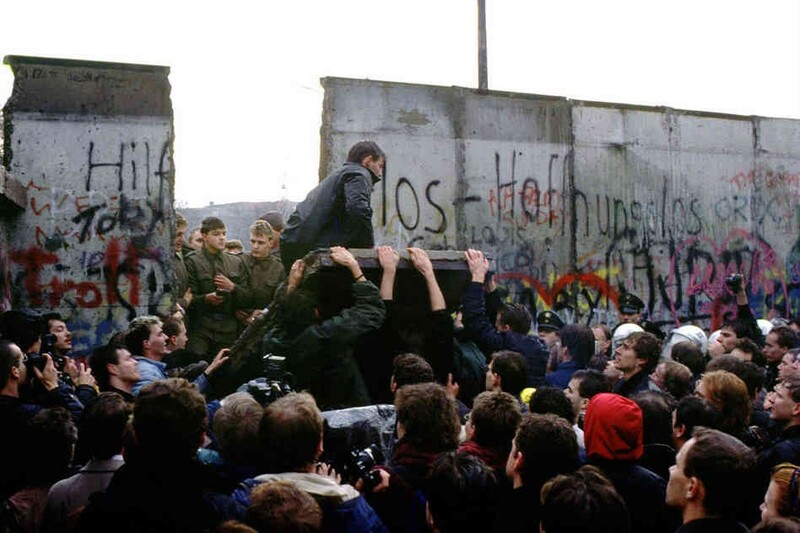 Who could have imagined 30 years ago that Germany would be reunited so successfully, or that the edifice of South African apartheid would fall five years later. The modern precedents exist for successful political and economic transformation and transition. Irish unity is both reasonable and achievable. Ireland today is a multi-cultural society, north and south. We are stronger as a people for that. Sinn Féin’s vision is of a new inclusive, constitutional, rights-based democracy on the island of Ireland. There is so much to be excited about the rainbow diversity of modern Ireland. This is a time for us all to become pioneers for the future; to be visionary with our politics; and to make the decisions now about planning for a new Ireland.